The turtle dove is an enduring symbol of world peace. 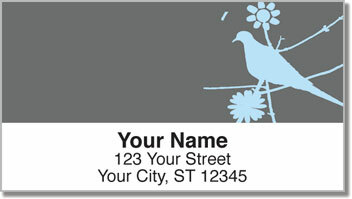 To honor the graceful harbingers of harmony, we're pleased to offer these Turtle Dove Address Labels from the Bird & Butterfly collection at CheckAdvantage. 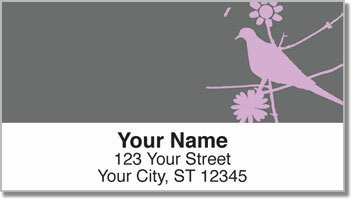 A lovely bird silhouette accents a simple floral sketch, making these labels an elegant, understated accent for all your outgoing mail. The rotation features a solid gray background illustrated in complementary shades of chartreusse, pink, light blue and rust. These handy return address labels will save you plenty of time when it comes to preparing your outgoing mail, thanks to the self-adhesive backing. Just peel and stick instead of writing your name and address on every envelope! 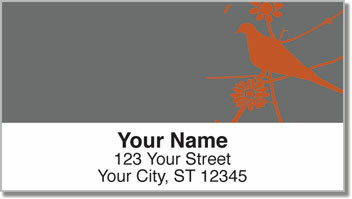 Order your very own Turtle Dove Address Labels now, along with a set of matching personal checks!